Paul Ryan calls CBO's estimate of 22M more uninsured "bogus"
House Speaker Paul Ryan called the Congressional Budget Office's estimate that 22 million more people would be uninsured under the latest Senate GOP health care bill "bogus," as he touted tax reform Thursday at a New Balance factory in Lawrence, Massachusetts. The Wisconsin Republican didn't so much criticize the math as "bogus," but rather, said the figure is "not credible" because "people will choose not to buy" insurance. According to the CBO report, however, many people won't buy plans because the average deductible would be exorbitantly high, rendering care impractical or unaffordable for many lower-income Americans. Under the proposed plan, some deductibles would run $13,000 by 2026, more than the $11,400 someone earning 75 percent of the federal poverty level makes in a year. "I think that's kind of a bogus number," Ryan told reporters at the factory, referencing the figure of 22 million more uninsured. "What they are basically saying is people will choose not to buy something that they don't want to buy if they don't have to buy it. The government is forcing people to buy something they don't want to do. And so if we stop forcing people to do something they don't want to do, they won't do it." Republicans are currently divided on health care reform, after two failed attempts to gather enough votes to pass a bill. President Trump most recently said Republicans shouldn't leave for their August recess until they pass a health care bill, after saying the best approach is to, "Let Obamacare die." Senate GOP leaders are eyeing Tuesday for a vote. But the future of a health care vote is uncertain, as Republican Sen. John McCain of Arizona determines what to do next after he was diagnosed with an aggressive form of brain cancer. Ryan said Republicans are much more unified on tax reform and expects they'll be able to pass a major overhaul of the tax system by year's end. 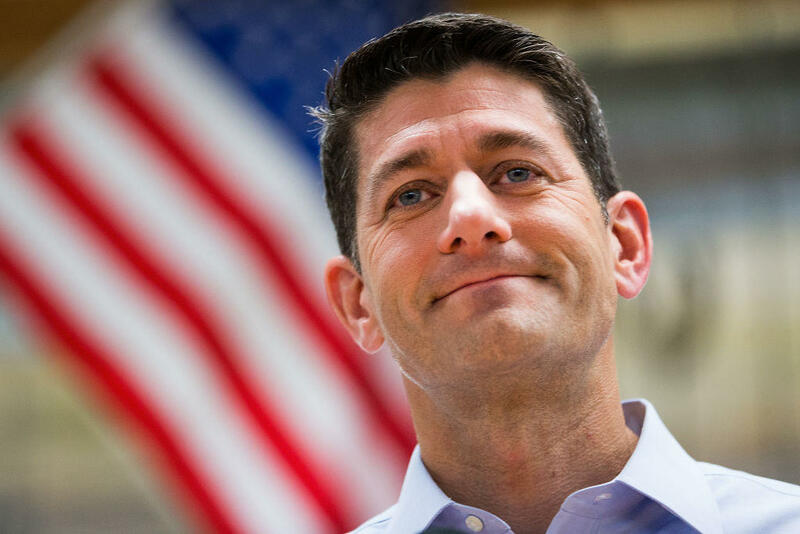 "Obviously you can see in the Senate there are differences of opinions on how to do health care reform," Ryan said. "We are so much more unified on tax reform. On what it looks like and how to do it and the need to do it. So I feel far more confidence of anything we are going to do this year that tax reform -- which is what we want to do by the end of the year -- is going to get done. Because every Republican in the House and the Senate knows it has to get done if we're ever going to get a chance at getting our economy growing at anywhere near 3 percent."